Roger has a long history of collaborative engagement with countries of the Middle East, with in-depth involvement since his first fieldwork in Iraq in 1984 on the Eski Mosul Dam project. He gained his BA in Archaeology and Ancient History from the University of Manchester (1983) and an MPhil (1984) and PhD in Mesopotamian Archaeology (1990) from the University of Cambridge. From 1986 to 1995 he served in Baghdad as Secretary-Librarian and Director of the British School of Archaeology in Iraq. In Iraq he directed excavations at the proto-historic site of Jemdet Nasr as well as working as Field Director at the Sumerian city of Abu Salabikh. From 1994 to 1996 he directed excavations at the massive archaeological site of Tell Brak in the North-East of the Syrian Arab Republic. As Director of the British Institute of Archaeology at Ankara he lived in Ankara in the years 1995 to 2001. In this role he directed a multi-period survey project, Project Paphlagonia, and encouraged and facilitated the research of a host of scholars from around the world. He also served as Field Director at the World Heritage site of Çatalhöyük, Turkey (1993-1996). 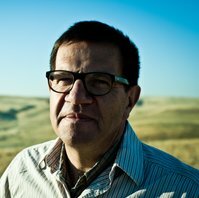 In 2006 he became Chairman of the British School of Archaeology in Iraq in which role he oversaw its transition to the British Institute for the Study of Iraq until 2012. His current research, co-directed with Dr Wendy Matthews (University of Reading), focuses on the Zagros Mountains region of western Iran and Iraqi Kurdistan, the Central Zagros Archaeological Project (CZAP). In this research they are investigating the early transition to farming life approximately 10,000 years ago. Roger has been successful in securing major funding, winning a total of >£1.5m in grants for world-leading research through projects in Iraq, Iran, the Syrian Arab Republic and Turkey. He has won two awards within the British Academy International Partnership and Mobility scheme for knowledge transfer and skills exchange between Europe, Iraq and Iran. He has considerable experience in conducting peer-review of grant applications within Europe, North America and around the world. 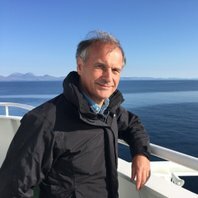 Roger was elected Fellow of the Society of Antiquaries of London in 2007 and Corresponding Fellow of the Deutsches Archäologisches Institut in 2014. Since 2009 he has been Academic Editor of the distinguished journal Anatolian Studies. Since June 2016 he serves as President of RASHID International. Roger speaks excellent Turkish, very good Iraqi Arabic and conversational Persian and Kurdish (Sorani). Simone is Director of an Emmy Noether research group focusing on flight and migration patterns in Mesopotamia during the 3rd and 2nd millennium BC. As part of the project she has been carrying out excavations at Gird-i Shamlu and investigating the paleoenvironment and cultural history in the Shahrizor Plain (Sulaymaniyah and Halabjah Provinces) in the Kurdistan Region of Iraq since 2009. Simone studied Near Eastern Archaeology, Assyriology and Proto- and Prehistoric Archaeology at the University of Heidelberg (Germany). 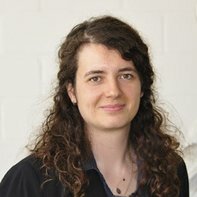 In her PhD-thesis titled “History of Settlement in the central Trans-Tigris area – from the Neolithic to the Late Assyrian period” (published in 2013 in the series ‘Abhandlungen der Deutschen Orient-Gesellschaft’, volume 28) she analyzed sets of modern and declassified satellite images for ancient archaeological landscape features in the region of Ashur in modern Iraq and collected and investigated archaeological material from 7000 years of several sites in this region and beyond. Shortly after the occupation of Mosul and adjacent regions in northern Iraq by the radical organization Daesh, Simone Muehl initiated a crowd information network on Facebook to collect information together with a wider public and raise awareness for the destruction of cultural heritage in Iraq. In 2015 she became one of the founding members of RASHID International and directs digitalization and documentation projects within the organization. 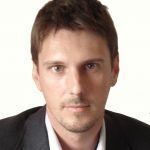 Luca studied Near Eastern archaeology, history and languages at “Sapienza” University of Rome and after taking the MA degree in 1995, he obtained his PhD in 2001. He was Aggregate Professor (2006-2010) and Associate Professor (2010-2018) of Near Eastern archaeology and art history at IULM University of Milan, where he has been the Director of the Enhancement and Communication of Cultural Heritage Lab. He is Professor of Near Eastern archaeology and art history at University of Milan since 2018. Since 2013 he has been the director of the Italian Expedition in the Erbil Plain in the Kurdistan Region of Iraq, and he has been working in the Syrian Arab Republic at Ebla and Tell Tuqan (since 1991) and in Iran at Qaleh Kutchek (2008-2009). 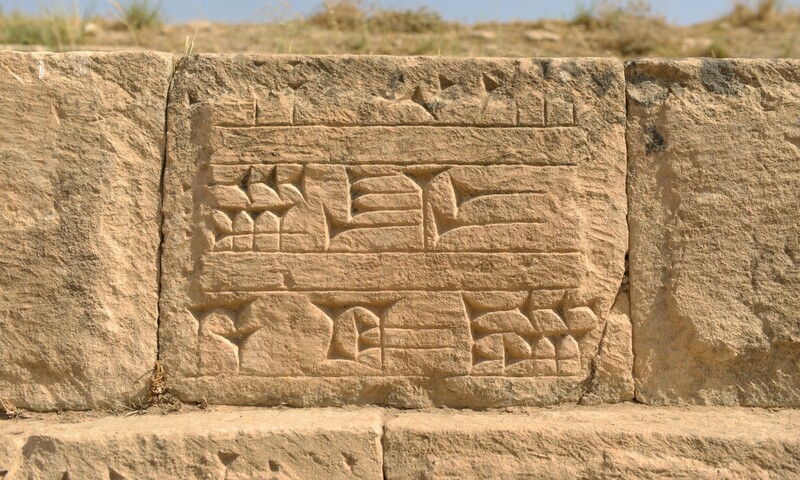 The archaeology of Northern Mesopotamia and the Syrian Arab Republic is among his primary scientific interests. In particular, the Late Chalcolithic period and the urbanization in Northern Mesopotamia, the urban landscape, domestic architecture and fortifications, and the chronology and settlement sequences of the Early and Bronze periods in the Northern Levant. Other research topics are craft production and regional and interregional exchange in the Syrian Arab Republic and Iraq during the Bronze and Iron Ages. His area of research also includes the archaeology the Persian Gulf, and Iran, especially regarding the dynamics of exchanges and cultural interactions during the Bronze Age. Another topic of his research activity is public archaeology and valorisation of cultural heritage: he is co-director of Archeostorie. Journal of Public Archaeology (http://archeostoriejpa.eu), he published several articles on enhancement of cultural heritage, he carried out as P.I. several applied project of communication of archaeological sites, funding by public national institutions and administrations, private institutions and firms, and he is also author of twenty archaeological documentary films and scientific consultant for archaeology of the national public broadcasting company of Italy (Channel Rai Storia). 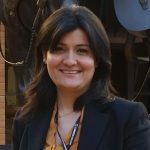 Rozhen is the founder and head of the Digital Cultural Heritage (DCH) Research Group at the Sulaimani Polytechnic University in the Kurdistan Region of Iraq, where she also teaches at the City Planning Department. She earned her BSc. in Architectural Engineering from University of Sulaimani in the Kurdistan Region of Iraq and Master’s degree in Environmental Design/Computational Media Design and PhD in Environmental Design from the University of Calgary in Canada. She has designed and co-designed numerous architectural projects and has been involved in developing and supervising the development of master plans in both then State Organization of Tourism (SOT) and the General Directorate of Urban Planning and Design at the Ministry of Municipality and Tourism (MOMT). Her research focuses on cultural heritage protection and promotion and museology. She is in particularly interested in investigating application of state-of-art digital technologies like Augmented Reality (AR) in cultural heritage and historic resource management. She publishes at international conferences and has been invited to speak and lecture in North America, Europe, Asia, the Gulf countries, and Iraq. She first joined RASHID as a member and then served as Chief Iraq Liaison Officer from August 2017. Olivier Nieuwenhuijse is guest staff member in Near Eastern archaeology. In addition Olivier works for the Deutsches Archäologisches Institut (Aussenstelle Damaskus). He previously worked as an assistant-curator for the department Near East at the National Museum of Antiquities Leiden, and publishes regularly for popular-scientific media. After completing his PhD in 2005 at Leiden University he has developed several research interests. Olivier is a leading specialist on the later prehistoric cultures of ancient Mesopotamia. In 2009 he co-organized the first international conference on interpreting the Late Neolithic of Upper Mesopotamia. He has specialized in the interpretation of prehistoric ceramics, with a special interest in the emergence of pottery in the ancient Near East. He is member of a project focused on the 7th Millennium site of Shir (Northern Levant). He has also researched the archaeology of climate change. He conducted a post-doctoral study on the social and material repercussions of the 8.2 ka abrupt climate event in Mesopotamia, and published a book on the archaeology of climate change. Olivier has worked as a researcher in projects across the Middle East, carrying out fieldwork in the Syrian Arab Republic, Turkey and Lebanon, Jordan and Iraq. In 2011 Olivier joined the Sharizor Survey Project, an international co-operation investigating long-term patterns of human settlement and land-use in the Sulaimaniya Province of Northern Iraq. Most recently he started work on the archaeological heritage of the ancient Near East. Olivier teaches on Near Eastern archaeology and various theoretical and thematic topics. He is a member of the Centre for Global Heritage and Development at Leiden University, Het Grote Midden Oosten Platform and former Treasurer of Rashid International. Rafał studied archaeology and the Hittite language at the University of Warsaw, from which he graduated in 1998. Since 1999 he has taught Ancient Near Eastern Archaeology at the Adam Mickiewicz University of Poznań. Since 2005 he has been professor of Ancient Near Eastern Archaeology. In 1985 to 1986 he worked on the Eski Mosul Dam Salvage project (Tell Rijim and Nemrik 9) in Iraq. In 2003 he spent 10 weeks in Babylon (Camp Alpha) on invitation of CPA SE. In 2011 directed the Kelek Mishik Field School in the Kurdistan Region of Iraq. Since 2012 he has been leading a major survey project in the Kurdistan Region of Iraq: the Upper Greater Zab Archaeological Reconnaissance (to be finished in 2018). His field experience includes fieldwork in Egypt, the Syrian Arab Republic, Cyprus and Bulgaria. His publication record includes two books and more than 50 scientific papers in journals and essay collections.